It’s the season for pumpkins! You may have picked up a few for decorations—or, if you’re an enterprising cook, perhaps you plan to use fresh pumpkin in holiday recipes (take a look at Chef Trevor’s recipe for pumpkin cheesecake). You’ve probably seen giant pumpkins at fairs. (A Napa man recently won big with his giant pumpkins at several competitions.) Well, Javier, a gardener at Nickel & Nickel, decided to try his hand at this large squash—and he grew a real heavyweight! 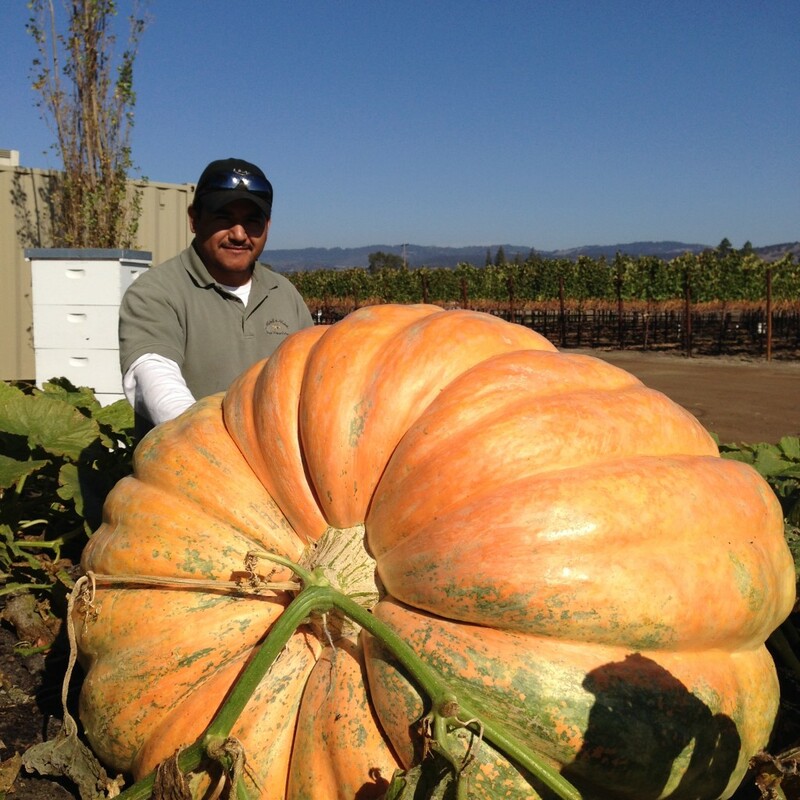 Javier says he got started a little late this year; if he’d started in April, this pumpkin would be even larger! Are you carving up jack-o’-lanterns or did you plant your very own pumpkin patch this year? Big pumpkins or little, we want to see them! Email your pics to rnewbold@nickelandnickel.com by November 4 and we’ll include your prize pumpkins in our next newsletter.